Sinclair Smith's career began with a contribution of the story Hacker to 13 Tales of Horror, an anthology edited by T. Pines, and released through Scholastic's Point Horror line of young adult horror. 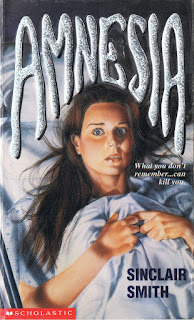 Point Horror was a notable imprint in its day for heralding the rise of many big names in the YA scene at the time, including the first book published by R.L. Stine, helping to launch the career of one of YA's most beloved, and well-known, authors. Among the other authors whom Smith was in the company of in this anthology include Christopher Pike, Diane Hoh, Caroline B. Cooney, Lael Littke and D.E. Athkins. 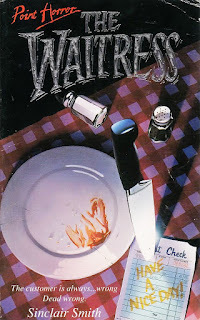 It was a year after 13 Tales of Horror was published that Point Horror released Sinclair Smith's first novel, The Waitress, beginning a string of releases with Scholastic featuring teenagers terrorized by serial killers. The following year, The Waitress would also be included in Point Horror Collection 3, an omnibus that collected three works under one cover. The Waitress was published alongside R.L. Stine's The Snowman, and Richie Tankersley Cusick's April Fool's Day. 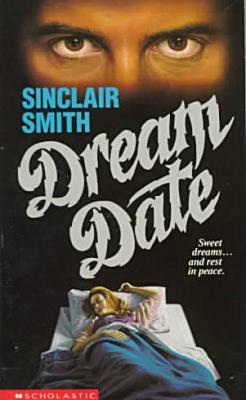 The same year that Point Horror Collection 3 was released, saw the publication of Sinclair Smith's second novel, Dream Date. In 1994, Smith's The Diary was released, which would be renamed Let Me Tell You How I Died in subsequent reprints. Other novels followed over the next few years, including Amnesia, The Boy Next Door, Double Date and Second Sight. 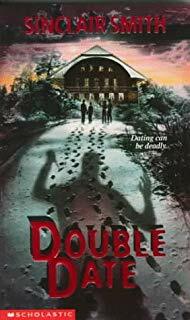 The Boy Next Door would also be included in 1997's Point Horror Collection 10, along with Lael Littke's The Watcher and R.L. Stine's The Hitchhiker. Second Sight was the last novel to be published by Sinclair Smith, however the legal name of the author is Dona Smith, which she also published under. As far back as 1993, Dona Smith was releasing books through Scholastic aimed at a young reader audience, beginning with a series of books called Shock Shots, in which she wrote books four through six. Each book in the series focused on a different classic monster, and featured legend, lore and trivia. 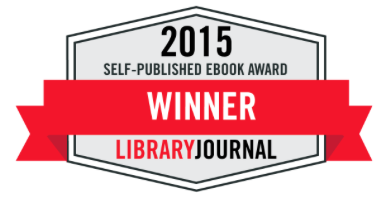 Dona's books focused on vampires, werewolves and mummies. Beginning in 1997, Dona Smith would write the final three books (16-18) in Turtleback Press's Clue series, based on the popular boardgame. Fellow YA author Eric Weiner kicked off the series in 1992 with a half dozen novels, and the series was later reprinted in paperback by Scholastic. Dona Smith would be tapped in 1998 to adapt the movie Armageddon into a junior novel for young readers, and would continue to write young reader books in the coming years, including My Favorite Martian and Zini's Big Adventure, ending her career with a pair of books in her Tall Tails series, which told the stories of historical figures, such as the Wright Brothers, through the eyes of their dogs, blending fact with fiction. Her final book, Cross Country with Lewis and Clark (Tall Tails #2) was released in 2004. Was she going to die...again? Delia can't stop reading the old diary which mysteriously appears in her locker one day. Little by little, she starts to become more like the girl whose words she reads - even having her memories and seeing the world through her eyes. A dead girl's eyes. Soon Delia is convinced that she was the girl who wrote the diary - in a past life. It seems there's more to Travis than meets the eye. And when he takes them to an abandoned ski lodge, they start disappearing, one by one. Is it another trick? Could Travis's tales of a killer ghost be true? Or is something else lurking in the shadows...?